And there you have it. The story of the neighbor kids. Pretty funny huh? I never, ever draw licensed characters, but the analogy was just too spot-on to pass up. What do you think? Should I grant their wish? Should I draw PRINCESS BATMAN? Are you really just drawing my kids at the Ranch? No, that would be MINOTAUR PRINCESS. Definitely MINOTAUR. You should definitely draw Princess Batman. WITH a story. 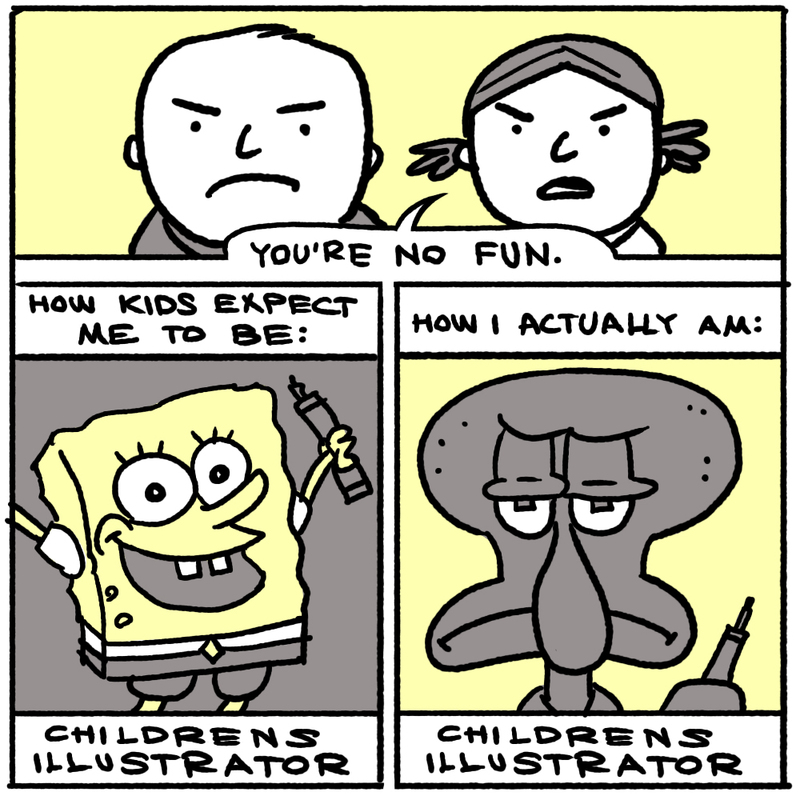 You have to show those neighbour kids that Squidward can be fun, too. I think. Right? draw princess batman fighting a million billion bunnies. Only if Princess-Batman looks as thrilled with being Princess-Batman as Squidward there.